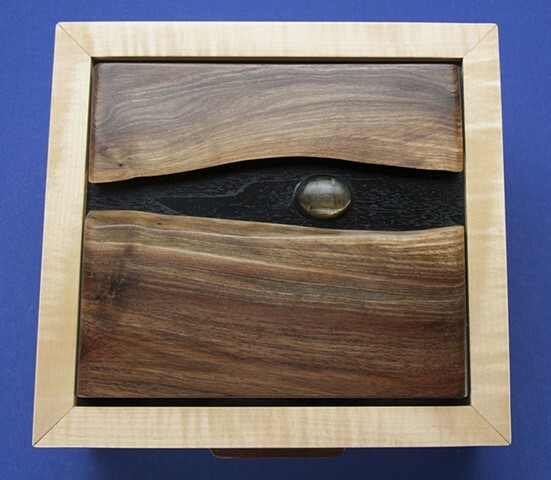 This box has book matched live edge, curly walnut planks in the lid that frame a mineral specimen. The sides are curly maple, and all these materials have chatoyance. The box could be used for jewelry or keepsakes, and dividers can be added for a small additional charge.